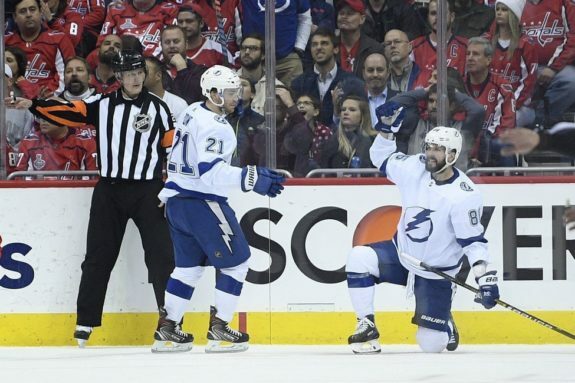 Throughout the 2018-19 regular season, the Tampa Bay Lightning consistently dominated the NHL. While there were a number of factors contributing to their historic 62-win season, arguably the most important part was their special teams play. This season, the Lightning featured the top-ranked power play, converting on a ridiculous 28.2 percent of their attempts, close to nine percent higher than the league average of 19.4. However, it wasn’t just the power play that was firing on all cylinders for Tampa Bay. 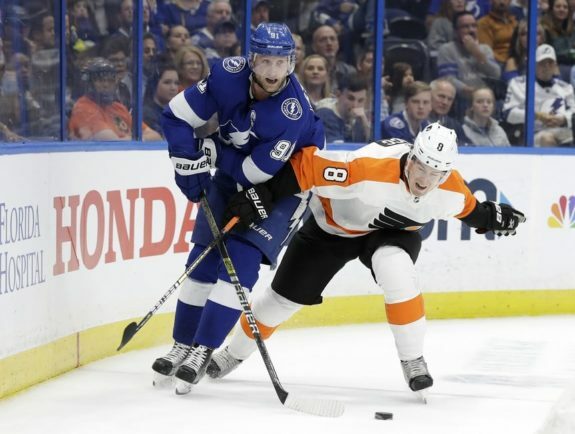 By the end of the season, the Lightning were in a three-way tie for first in the league on the penalty kill as well, boasting a success rate near 85 percent. This was a massive improvement from one year ago, when the team featured the 28th ranked unit. While this incredible turnaround on the penalty kill is nothing but positive, it has covered up what is arguably the Lightning’s biggest issue heading into the 2019 Playoffs: discipline. To put it simply, the Lightning took a lot of penalties throughout the 2018-19 season. As a unit, they led the league by incurring 299 minor penalties. Besides this, they also finished third overall with 779 penalty minutes while averaging 9.5 minutes per game. It’s not just one player racking up all these minutes, either. 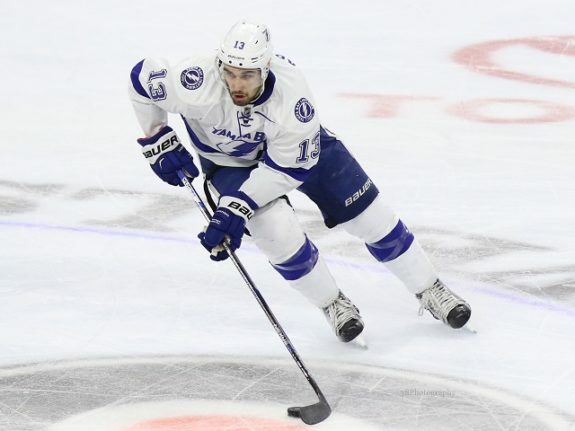 Cedric Paquette, the Lightning’s most penalized player, spent 80 minutes in the box this season. While that was enough to put him in the top-10 in that category this season, it was relatively small when compared to Evander Kane, who led the league with 153. Instead, the Lightning are taking penalties from all sides of their lineup. For example, Nikita Kucherov was not only the league’s top scorer, but he was also Tampa Bay’s third-most penalized player. Yanni Gourde, a top-nine, 20-goal scoring forward, held second place with 66 minutes. Heck, even Steven Stamkos incurred 37 penalty minutes this season, a surprisingly high total for a player typically known as one of the smartest in the game. For a team as successful as the Lightning, these numbers may come as a bit of a shock. Without their top-rated penalty kill, Tampa Bay would never have been able to reach the 60-win threshold this season. Once the postseason hits, however, this tendency to go on the penalty kill could become a serious issue for the Lightning. Playoff hockey is different, and all it takes is one ill-timed penalty to completely turn the moment of a game and series. This is especially true if the Lightning can advance past the Columbus Blue Jackets in Round 1. In Round 2, they will face either the Toronto Maple Leafs or the Boston Bruins, two teams with top-10 power plays. Giving either of these opponents four or five chances a night with the man advantage will almost guarantee goals against. There’s no doubt that the Lightning will enter the 2019 Playoffs as a favorite to win the Stanley Cup, and rightfully so. However, if they can’t control their penalty minutes, they might find themselves making an untimely exit after having a historic season. As we have consistently seen throughout the regular season, Tampa Bay has the firepower to win the war on both the man advantage and penalty kill. Despite this, though, the best way to fight this battle is to limit the opposition’s chances on the man advantage in the first place.